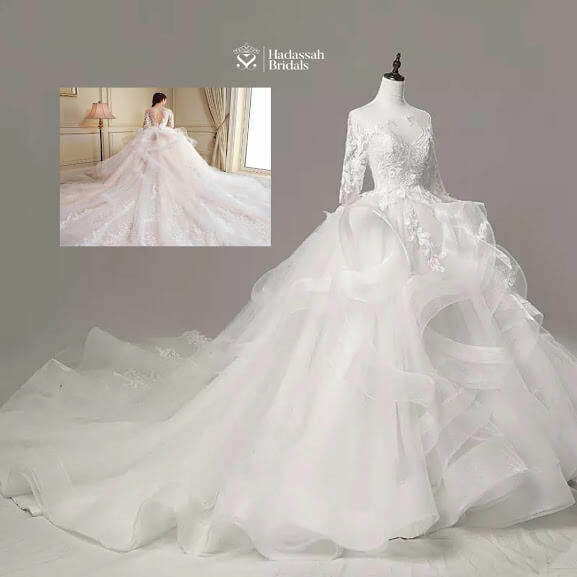 Sparkle on your wedding day in this beautiful ball wedding gown. 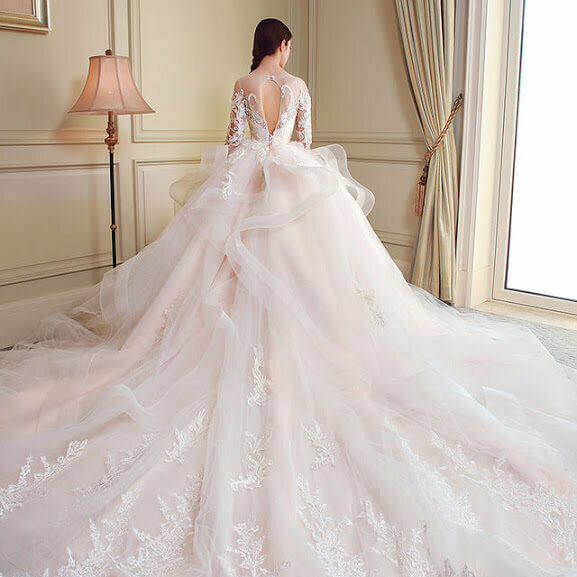 This ball wedding gown has a tail and the back of the bridal dress is lace up; this makes wedding gown easily adjustable. The ball bridal dress is has long sleeves. The wedding gown fabric is a mix of high quality tulle, bridal satin and lace. You can click here to chat with us directly on Whatsapp.